This England fan ‘swam’ along the pavement in the rain in Spain on Monday before the Three Lions’ 3-2 win in the UEFA Nations League in Seville. Two goals from Raheem Sterling and one from Marcus Rashford ensured the historic win, England’s first in Spain for 31 years. 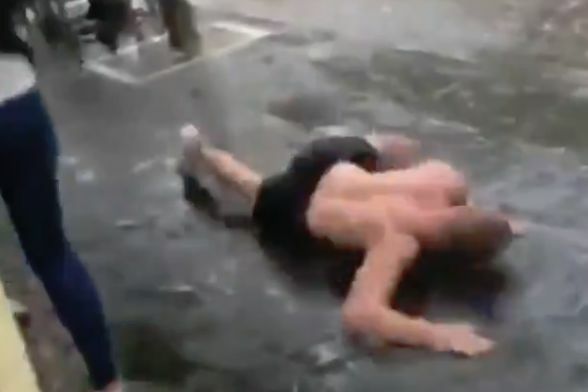 And one travelling supporter took the opportunity to goof around in the wet conditions, pretending to swim up the pavement in humorous fashion with his shirt off.